We all have our favourite makeup products, probably ranging from low to high end. And with so many different beauty products available in the market, you're not restricted to using one brand to create your makeup look. When it comes to getting ready, makeup wise, the products I use come from various brands. But as fun as having a lot of options can be, I sometimes get carried away and mix around products from left to right. 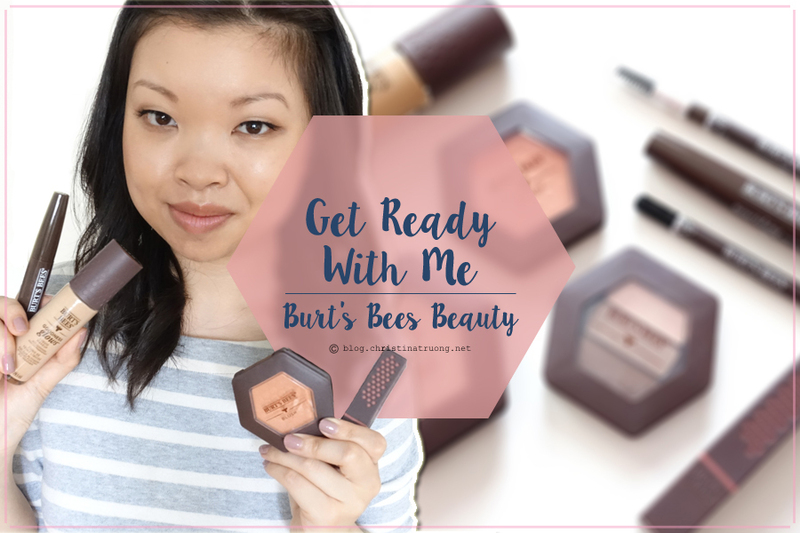 To keep things simple and fun (and a tad bit challenging), I like to create basic makeup looks using products strictly from one brand, this time around I'm Getting Ready with Burt's Bees Beauty. Burt's Bees have been known for their natural products in the skin, body, hair, and baby care department. They then started branching out into beauty with their lipsticks and now there is a whole Burt's Bees Beauty line - which I'm super excited about. Everything is natural and the packaging is simple yet creatively detailed. Check out the Burt's Bees line below and let me know which product you want to see a review on. Once I discovered BITE Beauty, it has been nothing but love from then on. They're highly pigmented, infused with food-grade ingredients, and best of all, they're handmade in Canada, specifically in Toronto, Ontario! It's tempting to buy everything from BITE Beauty, but does one person really need ALL those lip products? Hypothetically, yes. Realistically, no. Luckily the XO Bite: Prep, Line and Colour Lip Set has your go-to from hydrating the lips to the finishing touch of colour. Oh Canada! Canada Day is a few weeks away and I love nothing more than to show my love for Canada by getting completely decked out in Canadian (colours and branded) gear. Understandably, not everyone wants to wear a red and white ensemble, fret not, you can always show your Canadiana by wearing Canadian labels - it's equally supportive. 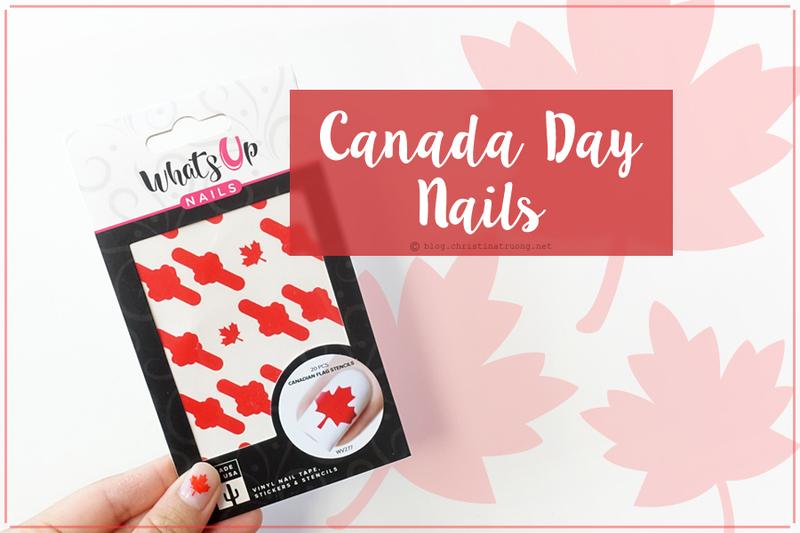 Or add a touch of Canada to your nails! 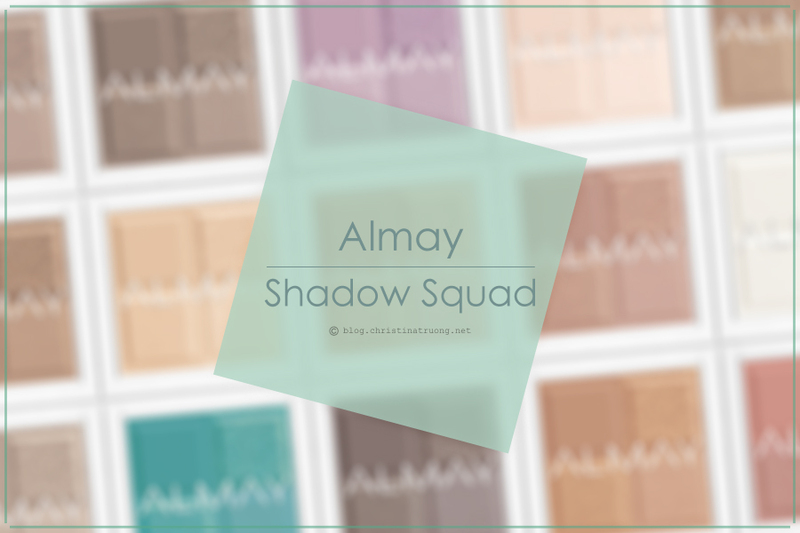 Four ways to throw shade with Almay Shadow Squad Eyeshadow. Almay Shadow Squad has your favourite eye shadow shade in four finishes: matte, satin, metallic, and glitter. Wear on its own or mix it up to create a monochromatic eye makeup look. These soft texture shadows will provide beautiful colour payoff. Available in 15 shades, Almay Shadow Squad are all Hypoallergenic, Opthalmologist tested, and suitable for sensitive eyes and contact lens wearers.